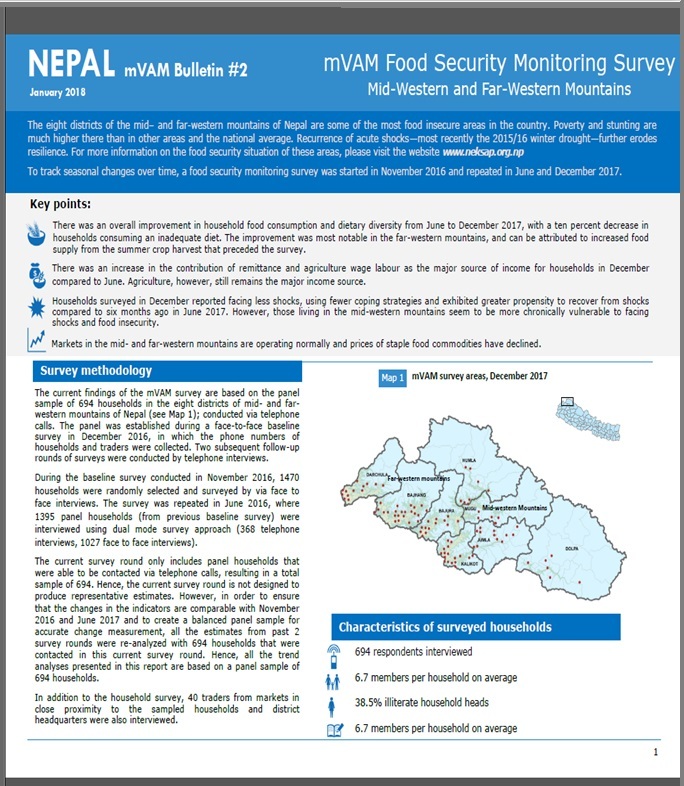 We are pleased to share the NEPAL mVAM Bulletin-3 based on the results of NeKSAP food security monitoring survey conducted in 8 mountain districts in Provinces 6 (Karnali) and Provinc 7. The survey was conducted based on a panel sample of 300 households in these districts via telephone calls. The panel was established during a face-to-face baseline survey in 2016, in which the phone numbers of households and traders were collected. For more information, please do not hesitate to contact us in the contact address mentioned in the bulletin. 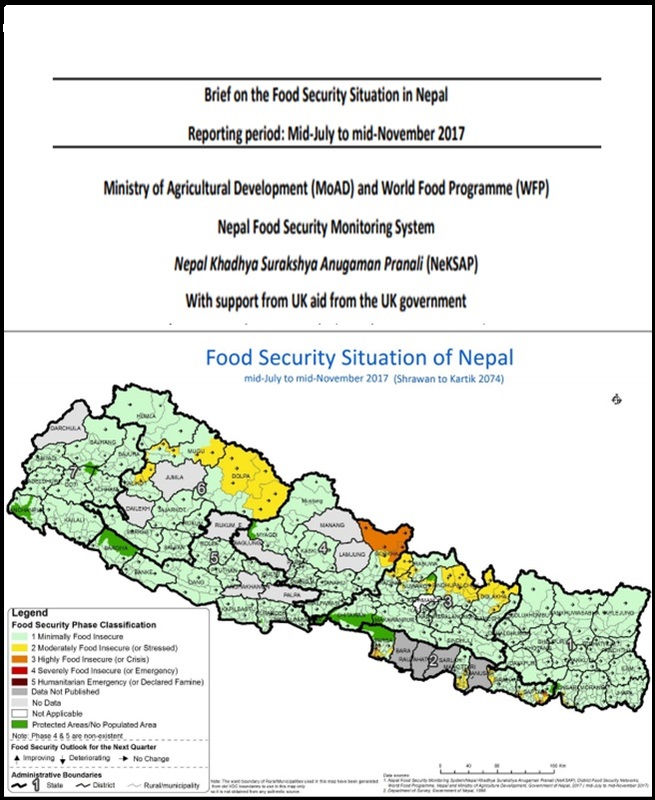 We are pleased to share the report, First Advance Estimate of 2017/18 Wheat Production in Nepal using the CCAFS Regional Agricultural Forecasting Toolbox (CRAFT).